Finally… it is Spring in Leeds. A watercolour and an oil painting. 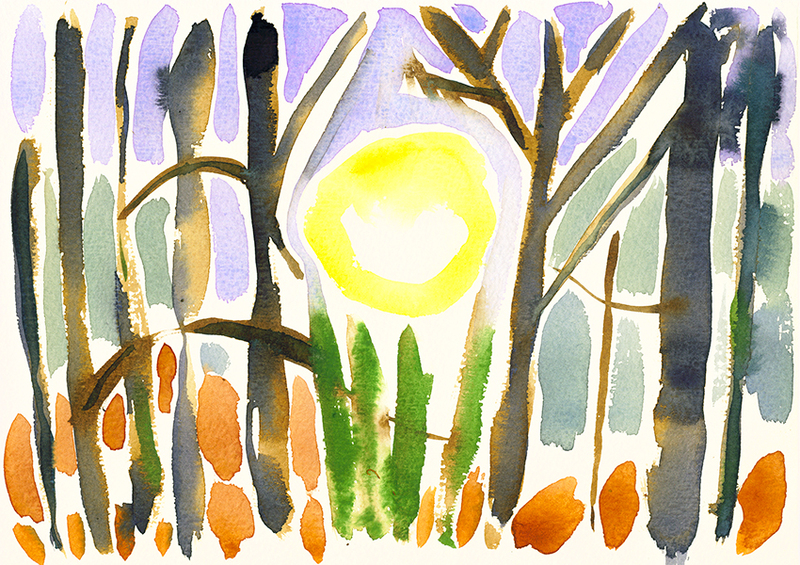 The sun is warming up the woods. In the daytime the sun looks green, like spring. I’ve been reviewing my work for the next exhibition. These are the woods in autumn, winter and early spring. Started painting again. This was on Sunday, the last thing I saw before the sun went down. It’s cold and the trees still have no leaves, but they will soon.